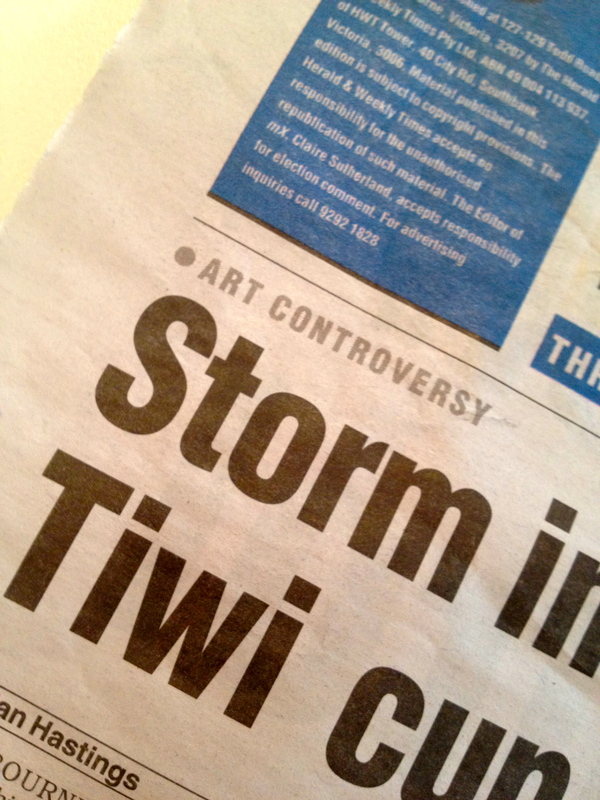 It’s official – Art Controversy! Prince, we need you to write the score! 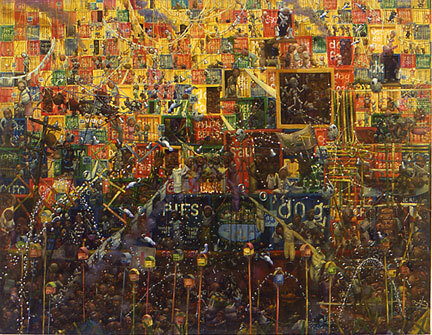 Although it feels like it could just keep going Cameron Hayes’ show finishes tomorrow! Two further articles on the final stretch officially confirms this show has been an ART CONTROVERSY! Who would have thought? Apparently no-one for the past 8 years, but who knew? 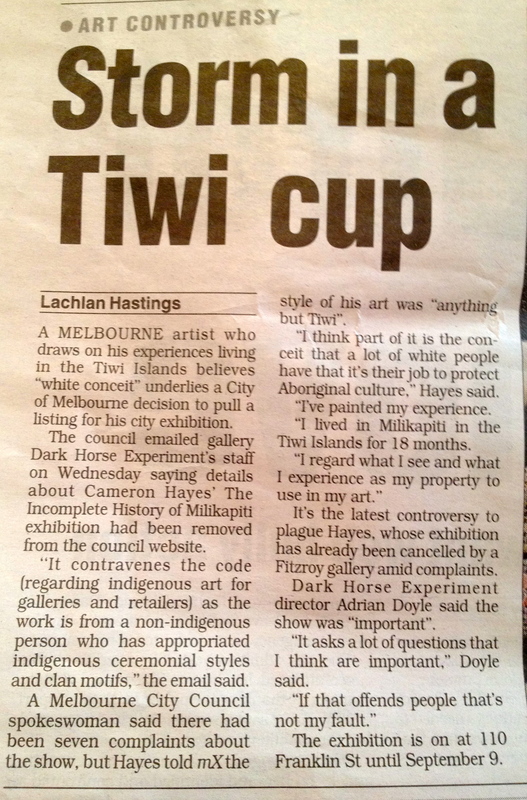 Melbourne City Council joined in on the act by informing the artist that his exhibition listing was taken down from their website ‘What’s On’ as it breached the Code of Conduct for “appropriated Indigenous ceremonial styles and clan motifs”. However, no-one from the council visited the show, they couldn’t explain how it appropriated styles or motifs, they couldn’t provide an explanation of due process, nor could they provide any recourse for rebuttal. Interesting! 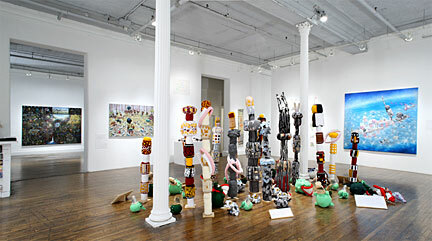 But at any rate, it provided further media attention, an extension of the show, and more visitors. 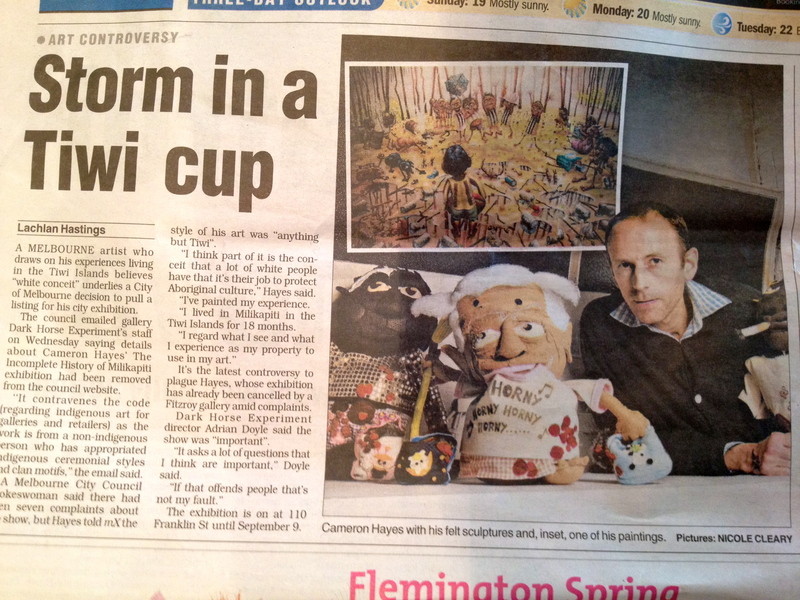 here is an article my friend wrote about my Milikapiti works. 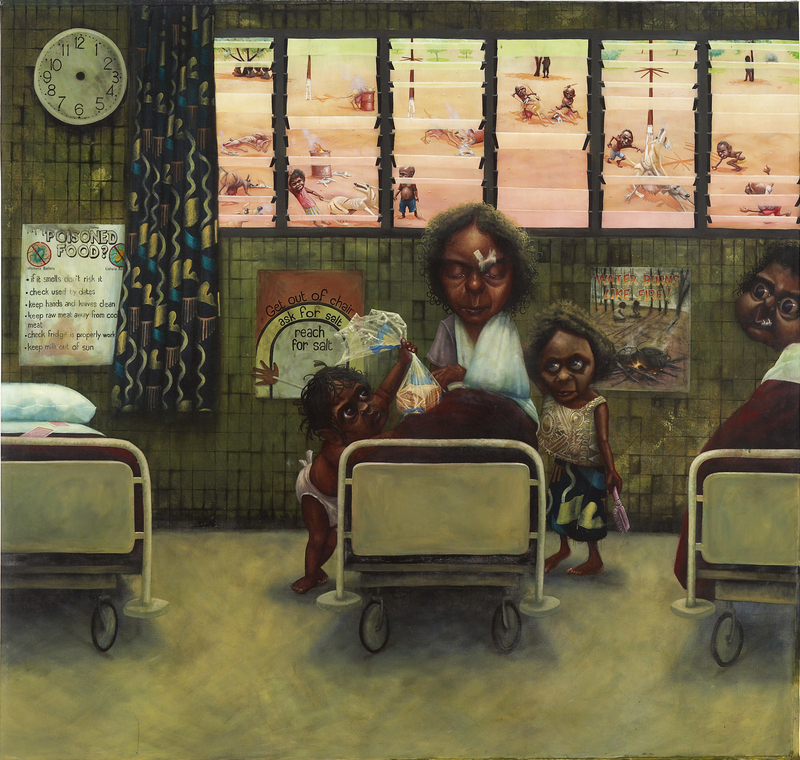 the show is on at Dark Horse Experiment at 110 franklin st in Melbourne from 1st august until september 2.
this is a painting from the show. on the 4th. of november 2003 14 kurdish refugees landed on the beach at milikapiti. one of the kurds yelled out from the boat ‘IS THIS AUSTRALIA ‘. 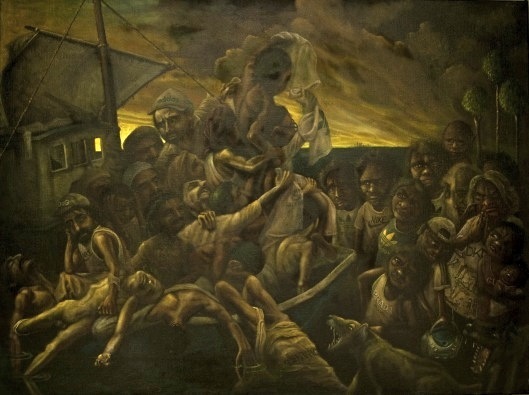 the tiwis on the shore were not sure because the australian government was disowning the bits of itself that could be used to help people like the refugees.